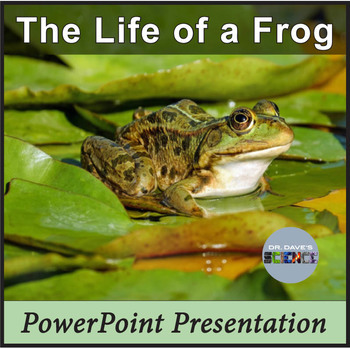 A frog PowerPoint presentation. 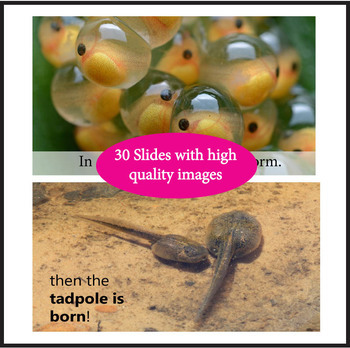 The 30-slide presentation uses high-quality photographs that will interest and engage your young students. 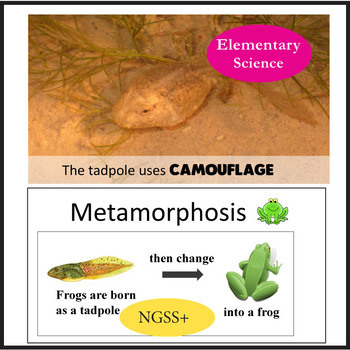 Covers frogs, tadpoles, metamorphosis, life cycle, food, predators and more! All life science resources are aligned with NGSS. Copyright © DrDavesScience. All rights reserved by author. This product is strictly for individual use and may not be copied or given to other teachers. Copying any part of this product and placing it on the Internet in any form (including a personal/classroom website) is strictly forbidden and is a violation of the Digital Millennium Copyright Act (DMCA).